Maximillian Stock, Ltd./Photographer's Choice/Getty Images. Although this type of bagel is whole wheat, that doesn't mean it has fewer carbohydrates than it's white counterpart. One bagel is equivalent to eating about 4-6 slices of bread, which means it is very carbohydrate dense and can raise blood sugars. Bagels are also lacking in filling fiber and protein. Therefore, you are likely to be hungry a few hours after eating one which can negatively impact your blood sugars and weight. To make this a healthier choice, decide to eat 1/2 (scooped out) and top it will a few scrambled egg whites and a vegetable of your choice. My favorite combination is 3 egg whites with 1/3 avocado, and 1/2 cup spinach - this adds protein, fiber, and healthy fat. Some studies suggest a larger, higher protein, higher fat breakfast may help to reduce HgbA1c. Whole wheat pretzels may seem like a good choice because they are whole wheat, but pretzels are rich in sodium and lack nutritional value. One serving of honey wheat pretzels will cost you ~110 calories, 1 g fat, 20 0mg sodium, 24 g carbohydrate, 1 g fiber and 3 g protein. Pretzels also have a high glycemic index which can affect blood sugar control. The American Diabetes Association suggests that substituting low glycemic index food for high glycemic index food may improve blood sugar control. Dried fruit, especially dried fruit that is covered with yogurt, chocolate, or otherwise sweetened is loaded with sugar for a very small portion. Because dried fruit is condensed, the serving is very small. 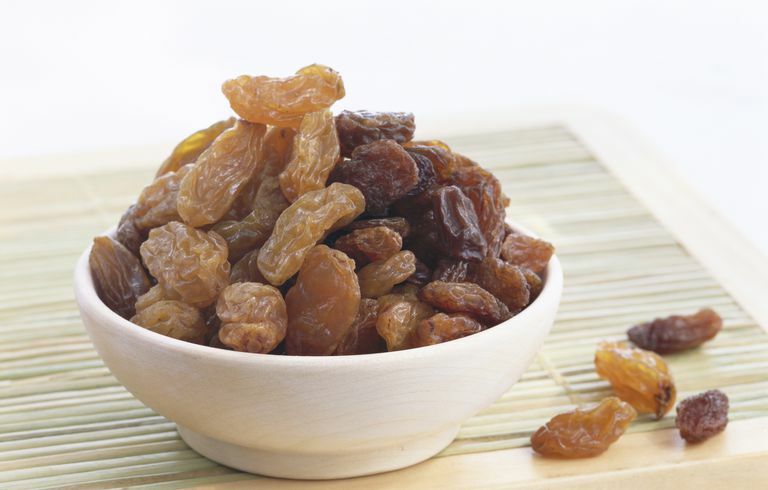 One serving of raisins is only two tablespoons. When possible, it's best to eat whole fruit and limit your portions to about 2-3 max per day. Learn how to incorporate fruit into your meal plan: Can I Eat Fruit if I Have Diabetes? Not all margarine is created equal. The intent of margarine is to reduce saturated fat and calories. However, some margarine spreads are made with partially hydrogenated oil (trans fat). Avoid trans fat because it acts similarly to saturated fat. When choosing a margarine, be sure to read the label. If the label lists "hydrogenated or partially hydrogenated oil" you should avoid it. Aim to spread whole grain bread with heart healthy fat alternatives like hummus, avocado, and nut butter.